This partially furnished first floor, 2 bedroom, 2 bath waterfront condo has expansive view of beautiful lake in the condo community of North Shore at Kingsway. This condo offers new blinds throughout, dedicated laundry room with new front load washer and dryer, and new wood look laminate flooring. Open floor plan provides a bright and airy atmosphere with view of water from main living areas. Updated kitchen boasts new stainless appliances, breakfast bar, new sink, new granite counter tops, and breakfast nook with built in shelving. Master suite has new impact tinted window with awesome view of lake, walk in closet, and private bath. Enjoy the water view from your tiled lanai with vinyl windows. North Shore community amenities include club house and heated pool, and condo fee include public water and sewer. Quiet community yet all conveniences nearby including Kingsway Golf and Country Club. Proximity to other waterways, local beaches, dining, shopping, and other golf courses makes this property ideal for the Florida lifestyle. Also, easy access to public parks with bike and walking trails and picnic areas, and boat ramps providing access to many waterways, beautiful Charlotte Harbor, and the Gulf of Mexico. And, easy access to Interstate 75. 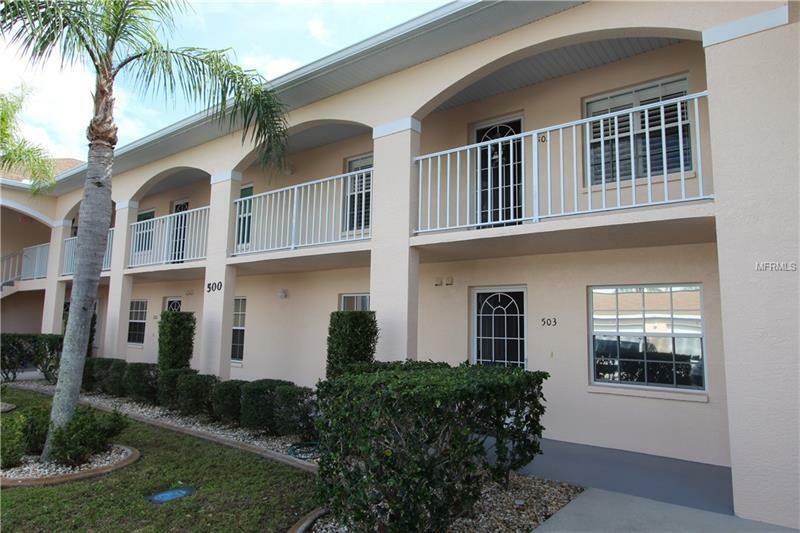 Don't miss this move in ready condo in a great community! Pet Restrictions: 2 cats or dogs. 30LB max.